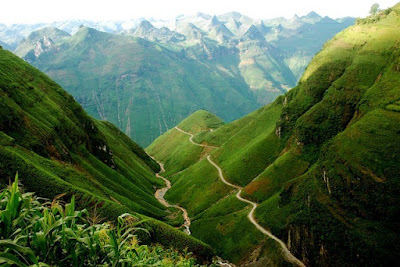 If you are familiar with winding trails in Sapa, and you want to change the atmosphere of your trip, or try the feeling overwhelmed by nature and earth. These two following destinations that Vietnam Typical Tours provided will be the best idea for you. This is probably the most favourite place when people come to Sapa. 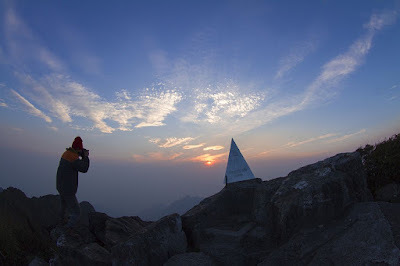 Using the word "Legendary" is probably a bit excessive but conquering the roof of Indochina, standing on a 3143 metre mount breathing rarefied air, having goose bumps and fully enjoying the joy of victory, certainly is an experience not everyone can and sometimes is the dream of many people. However, it's different, now when people have many paths, not just only going through Cat Cat village. Nowadays, there are many new paths (like Tram Ton path) became the trails, there are many tours after only 2 days-1 night with some money you are able to conquer Fansipan and have half closed already in hotels. An important principle is that the trekking people should go in groups of five people or more. During the journey, all members must respect the rule, ignore selfishness, because the safety of themselve. This is trekking people's favorite spot, it is about 100 meters from Tram Ton. It's loved not only because of its spectacular, but also the highest point of the longest mountain pass O Quy Ho. If you are imagining that heaven gate is a wide range of land, where is close to the sky and there is a port labeled " gate of heaven" , you seriously made a big mistake!. Anywhere between two mountains and mountain peaks was higher, the highlanders call it heaven gate. Standing here looking down the legendary mountain pass O Quy Ho toward Lai Chau and toward the west side of spectacular Fansipan Mountain. There are two locations close to each other are called the Gate of Heaven. The first one is right in Tram Ton ( there is a strip of land with lots of souvenir shops) and the second is far from Tram Ton point about 100 meters way ( only 2 small cafés ). It is seemed to be better. There are many new destinations where few people arrives, we hope that these destinations will help you visualize your trip route and if you are willing for a trekking, our suggestions must be a good helper for you.